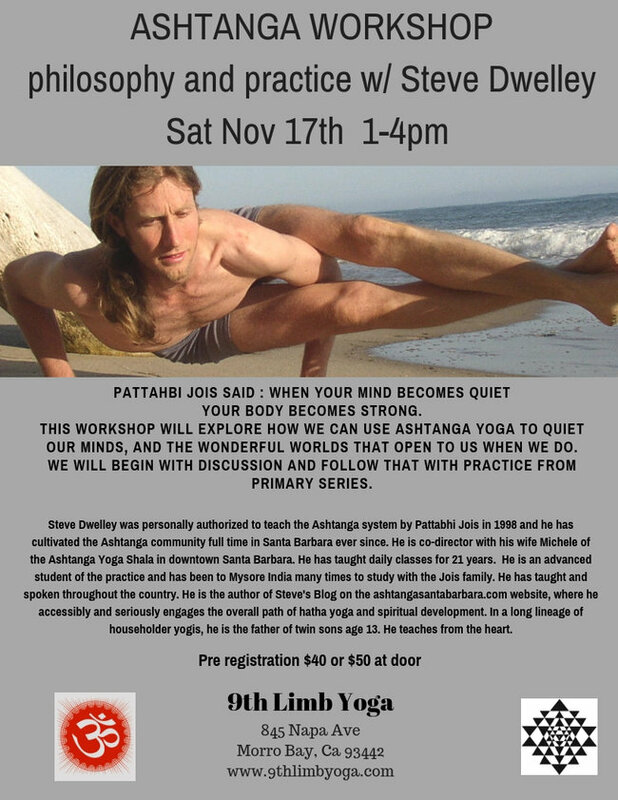 It will be at The Santa Barbara Yoga Center, 32 East Micheltorena St. There will also be a special evening class, TBA. We will be hosting Dena Kingsberg in 2016! at Casa Las Palmas in Santa Barbara. Parking is available along the street and in two city lots, one on the corner of Garden Street and Cabrillo, and one on Cabrillo Blvd. ocean side. Single day and Saturday/Sunday only participation will open up, space permitting, in February. Let us know you would like to participate. We will confirm space availability at which time you will need to send check or cash to complete your registration. There will be no refunds after February 1st, 2016 unless your space is filled by another.